The Freeform series lead tells us how the track came to be! 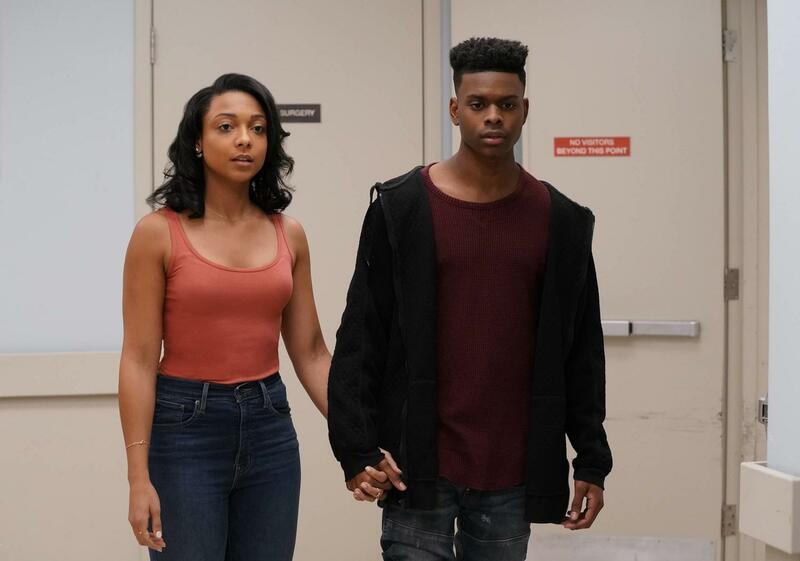 If you caught the Season 2 premiere of "Marvel's Cloak & Dagger" this week, you were in for a special treat during the second hour. In trying to understand the mysterious veves he keeps coming across, former choir boy, Tyrone Johnson (Cloak), played by Aubrey Joseph, reaches out to his girlfriend Evita. What results is a less than smooth reunion. Dating Tip: don't let people you care about, especially your boo thing, believe you've been dead for eight months! As Tyrone is drawing a veve on the floor of the church, seen in the video above, the track "Numb" playing in the scene was sung by Aubrey Joseph. Not only did Joseph sing on this track, he also wrote the song specifically for "Marvel's Cloak & Dagger"! Marvel.com spoke to Joseph to get the scoop on how "Numb" came to be. Joseph revealed that executive producer and showrunner Joe Pokaski had reached out to him during the first season to write a song for the series because Pokaski knew Joseph sang, rapped, and wrote music. Initially believing Pokaski was "just being nice," Joseph didn't think it was an actuality and kept putting it off. However, Pokaski's persistence paid off when he nudged Joseph's manager at SXSW last year. His manager popped by Joseph's home one day and played a beat that producer Dreamstate crafted. Upon hearing it, Joseph recalled, "I was like, 'This is the one,' and we went to the studio that day. We wrote the song, wrote the hook first, and then I laid down the verses, and boom, that's how we got 'Numb.'" As for how "Numb" was slotted in to the most fitting scene? Joseph revealed just how in sync he and Pokaski were, "The funny thing, which is is crazy that he even caught it, was I wrote this song from Ty's perspective to Evita in the first verse, and then in the second, it was more so towards Tandy." "It was cool that he used it for that specific situation because it fits so well," continued Joseph. "It was so cool we finally got to put it in the show." Joseph had actually played "Numb" in one of his lives last year to great reception, and to have "Marvel's Cloak & Dagger" fans witness it in the show has been special to him. Fans will remember that co-lead Olivia Holt, who plays Tandy Bowen (Dagger), had a track in the finale of the first season. When questioned if we can expect a collab between Joseph and Holt down the line, in the future, Joseph teased, "We should. Most definitely." Continuing, "The thing with us is that we want to make sure it's the right timing, the right moment. We never want to force anything." When it comes to the Divine Pairing, it's safe to say **** goes boom! Watch "Marvel's Cloak & Dagger" Season 2 every Thursday at 8|7c on Freeform! Stream new episodes the next day on Hulu, On Demand or Freeform.com. For more in-depth behind-the-scenes knowledge of the making of "Marvel's Cloak & Dagger" Season 2, don't miss out on The Marvel After Show, the official companion podcast. New discussions will be available for download at www.marvel.com/aftershow, Apple Podcasts, Spotify, and your favorite podcast app directly after each episode of "Marvel's Cloak & Dagger" airs on Freeform. Stay tuned to Marvel.com for the latest on “Marvel’s Cloak & Dagger” and Marvel Television! Be sure to follow @CloakandDagger on Twitter and like the official “Marvel’s Cloak & Dagger” Facebook page!